If you remember, earlier this year, in March 2016, TAG Heuer came with a superb idea: the opportunity for collectors to vote and to decide which vintage Heuer Autavia will be the inspiration for a modern reedition of this mythical watch. 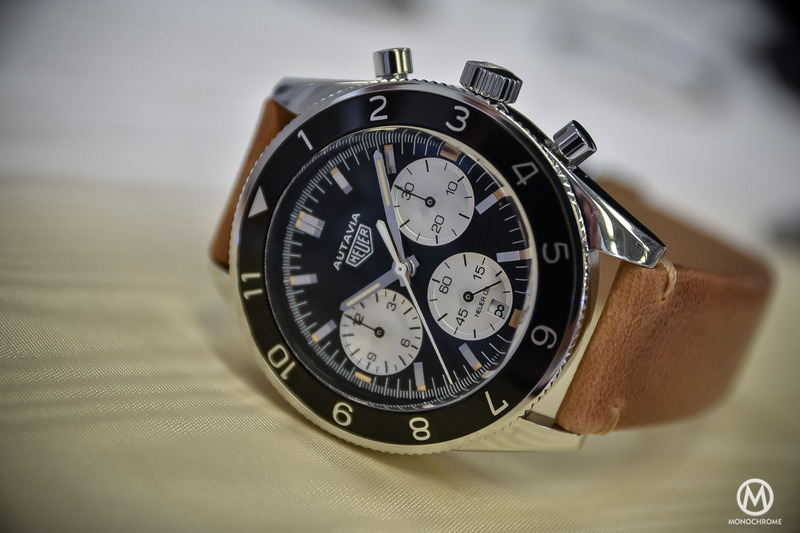 The audience chose one of the coolest editions, the Autavia 2446 Mark 3 “Jochen Rindt”. The result of the development was to be expected at Baselworld 2017… However, we had to take into account J.C Biver’s productivity and a certain event, the Heuer Collectors Summit (where we are today!) And guess what… the very first prototype of the TAG Heuer Autavia 2017 is already shown to the attendants of the Heuer Collectors Summit, and we get to show it to you. Before looking closer to the new 2017 TAG Heuer Autavia, it’s good to have a look at the heritage of this legendary timepiece. 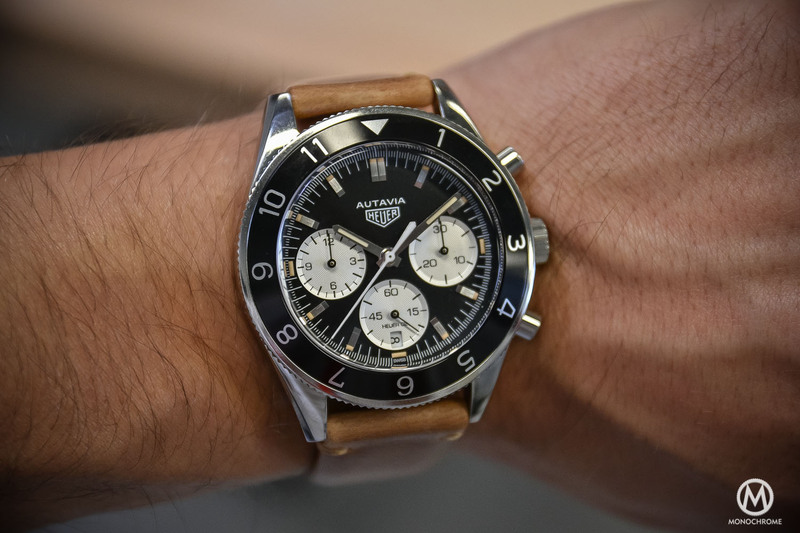 Most collectors and enthusiasts mainly know the TAG Heuer Carrera as one of the brand’s most important historical models, however it was the Autavia that was Heuer’s bread and butter during the 1960’s, 1970’s and even in the early 1980’s. It was also the very first wrist watch launched when Jack Heuer became the brand’s CEO. The original Autavia was a dashboard timer for rally cars, and maybe even of airplanes, as the name comes from “AUTomotive- AVIAtion”. In 1958, four years before the launch of the very first Autavia, Jack Heuer participated in two car rallies, and his experience in those rallies lead to discontinuing the old Autavia dashboard timer, introducing a new (The Heuer Monte Carlo dashboard timer.) In 1962 Heuer introduced the all new Heuer Autavia as a wrist watch, designed with rotating black bezel with a choice of markers that all served a different timing purpose. Fast forward a “few” years and now we’re looking at a modern interpretation of the watch that TAG Heuer fans, aficionados and collectors selected from the sixteen designs that were proposed by the brand. 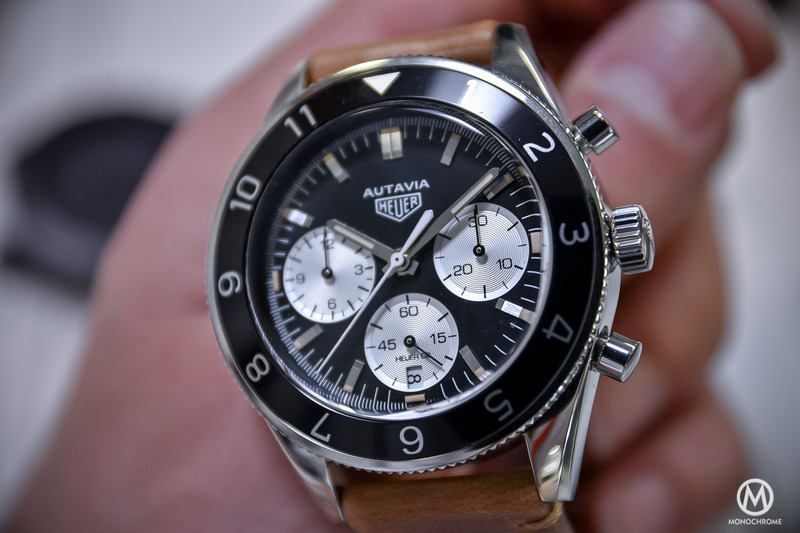 So what about the TAG Heuer Autavia 2017? Basically, we are talking about a modern reinterpretation rather than a real re-issue. 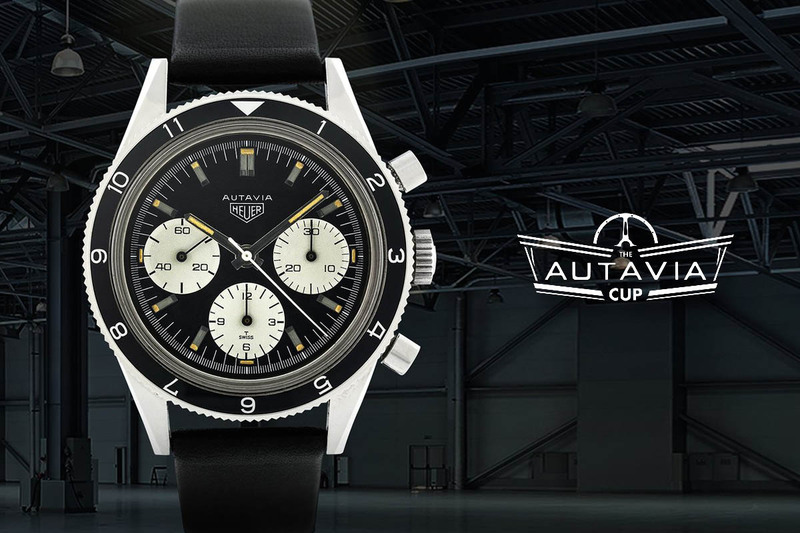 This watch, with all respect to the collectors, will not be the same as the old Autavia 2446 “Rindt”. It is certainly heavily inspired by the old ref. 2446, however it is a modern watch, with modern features and a modern build. First of all, the case TAG Heuer Autavia 2017 measures 42mm in diameter (while the old one was 38mm). It is made out of stainless steel – classical – with an entirely polished finish. The proportions are, in general, rather modern too. The case is quite thick – do remember that we talk about an automatic chronograph, usually quite hefty movements – as measuring 15.64mm. The design of the case remains however faithful to the original, with the rather thin and bevelled lugs. Crown and pushers are classical and in the vein of the older version, however resized to fit the overall look. The crown is also looking at the past. It has a 12-hour scale and large indicators in silver. 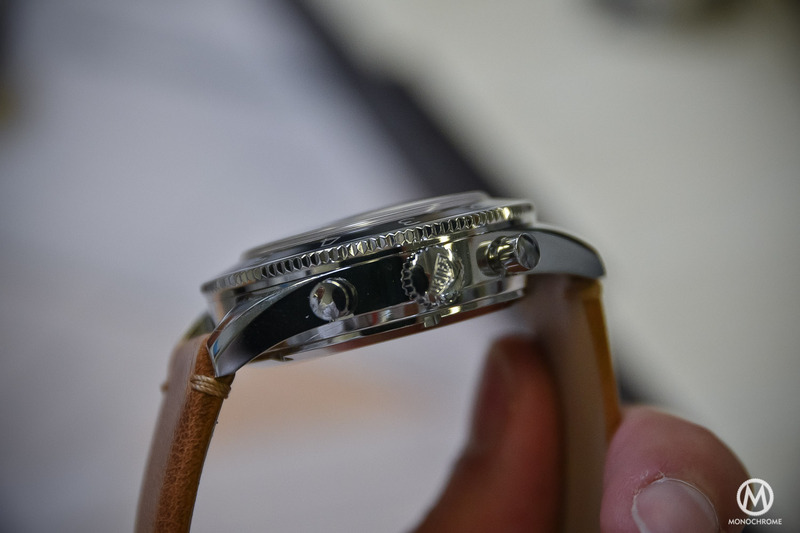 Once again, the proportions are different, as the bezel is wider and the font of the 12 numerals is larger. This bezel is a pilot style one, rotating in both direction and without clicks (like you could find in a dive watch). 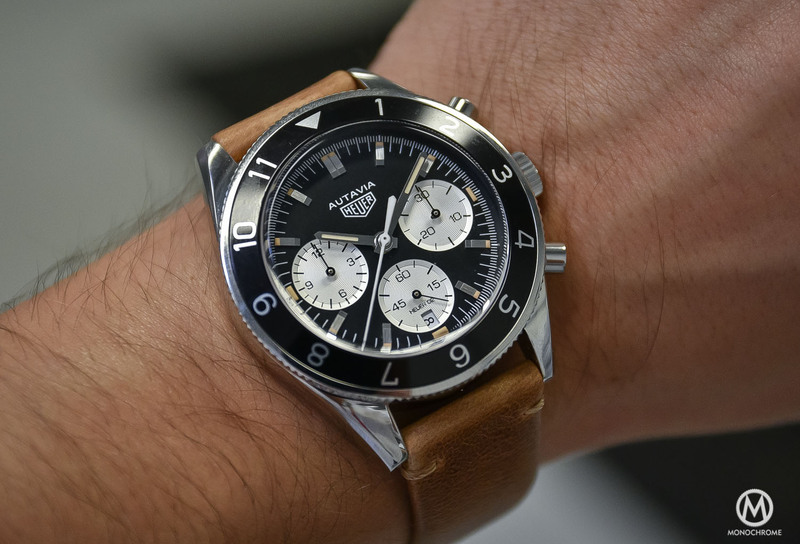 Now, you can see this TAG Heuer Autavia 2017 on a vintage-inspired leather strap – and it actually looks nice in the metal. However, the best news is that this new Autavia will be available on a metal bracelet, and not any kind of bracelet, as we talk “beads of rice”, 7-link bracelet. And that is just super-cool. The dial of this TAG Heuer Autavia 2017 looks familiar, at first. 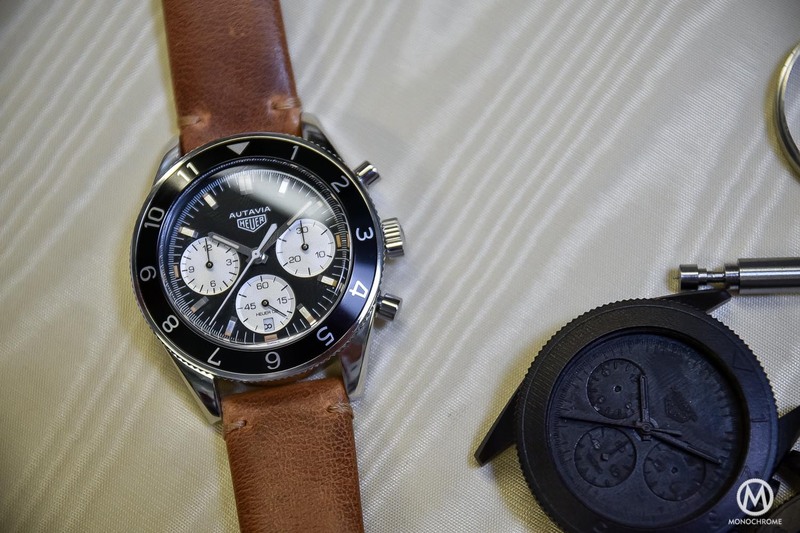 Yes, it is a tri-compax, panda dial, with applied indexes and tracks that are the same as the old Autavia. 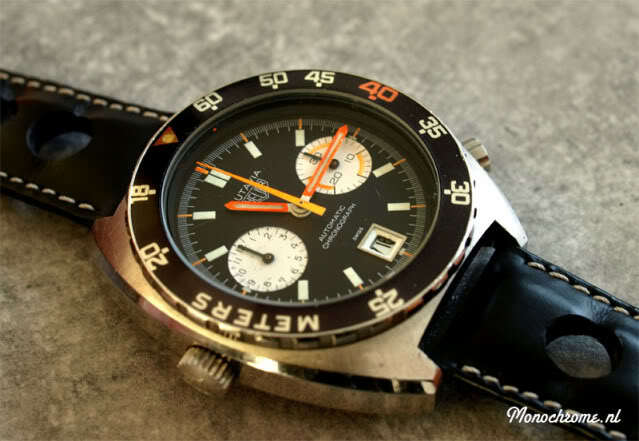 Yes, it does have the “Heuer” logo only. Yes, the hands are actually shaped the same way. However, once again, details are different. The hands and applied indexes are larger, the sub-dials are also larger (to stay faithful to the original proportions) and, biggest change, it does have a date at 6. I already hear the vintage-oriented people scream, however this date is deliberately placed on the dial – once again, TAG had the wish to make this watch modern. Finally, there’s the movement. This TAG Heuer Autavia 2017 will feature the new Calibre Heuer 03. This new movement is based on the once-introduced, once-cancelled, now-relaunched calibre CH80. However, when becoming Heuer 03, it went under several improvements – which are now not yet explained in details, as the watch you can see in the article is a very early prototype. The CH80 was however an integrated, in-house, tri-compax, automatic chronograph movement, with vertical clutch, column-wheel and 80 hours of power reserve. Overall, this new TAG Heuer Autavia 2017 has to be considered as a modern watch with a vintage inspiration – and a really nice inspiration to be frank. The watch looks and feels superb and is pleasant on the wrist. Ps. 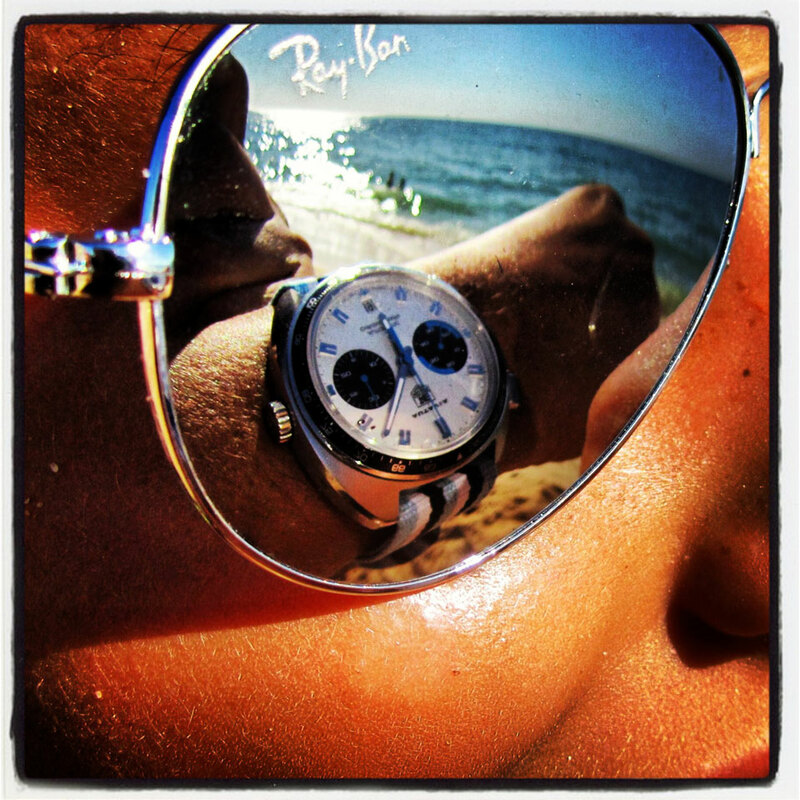 The watch here is an early prototype, not a definitive watch. The date wheel is not the final one for instance. The printing at 6 indicates Heuer 02 and not Heuer 03 as it should. Some minor details could be later updated. Price is not yet defined. 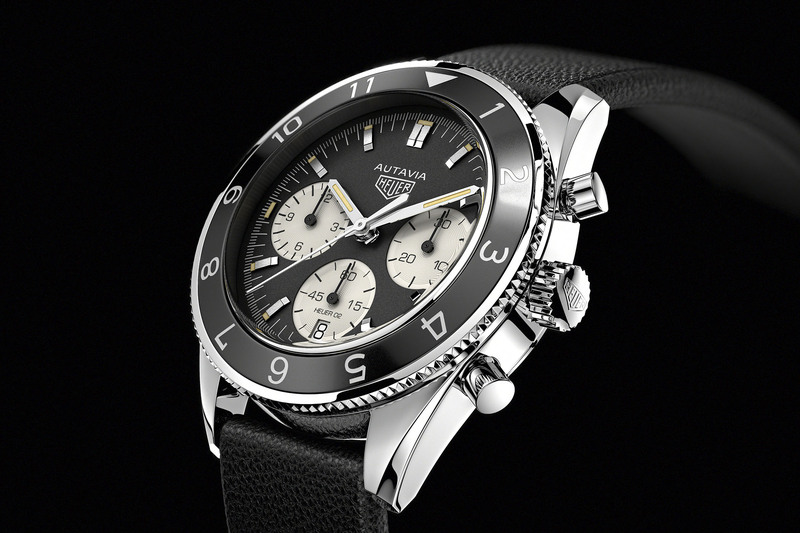 UPDATE – The new TAG Heuer Autavia will be available from March 2017 – Prices will be 4,800 Swiss Francs for the leather strap edition and 4,950 Swiss Francs for the metallic bracelet edition. Hi Brice, thanks for this early anticipation of this new Autavia. A very fine watch indeed, gives an overall idea of how the final version will be. Thank you very much for the pictures! The numbers on the bezel, and even the bezel itself looks wrong to me! The brown bracelet does not work on this watch, it has an “aftermarket” look. I’m shure Mr Biever and his team can do better! 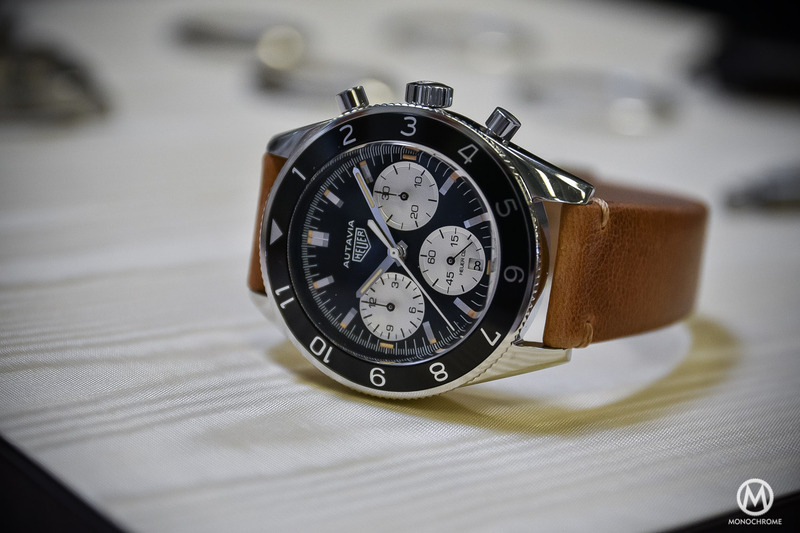 Thank you very much for posting the photos of the re-edition of the Autavia model 2017. Unfortunately I must agree with the all the critics in the comments above. One would question the entire gimmick of the Autavia Cup results. Yes, the watch looks close, but the people selected a specific watch. The bezel on this version and the date make it no where near close enough for me to part with 5K. I wasted a lot of energy looking forward to this.